It is interesting to see how likely you are to be able to communicate using a foreign language when you travel in Europe. The following map shows the most common foreign languages in which people in a certain country are able to hold a conversation. Edit (please read): There seems to be a bit of confusion among my readers about the methodology used. The word “foreign” is to be understood as “second” or “non-native” throughout the article and has nothing to do with the official status of the respective language. For example, if a Turk (whose mother tongue is Turkish) living in Germany happens to speak German, it counts as a person speaking German as a foreign (i.e. second) language in Germany. The map is based on the data contained in the “Special Eurobarometer 386”, a survey carried out by the European Commission. 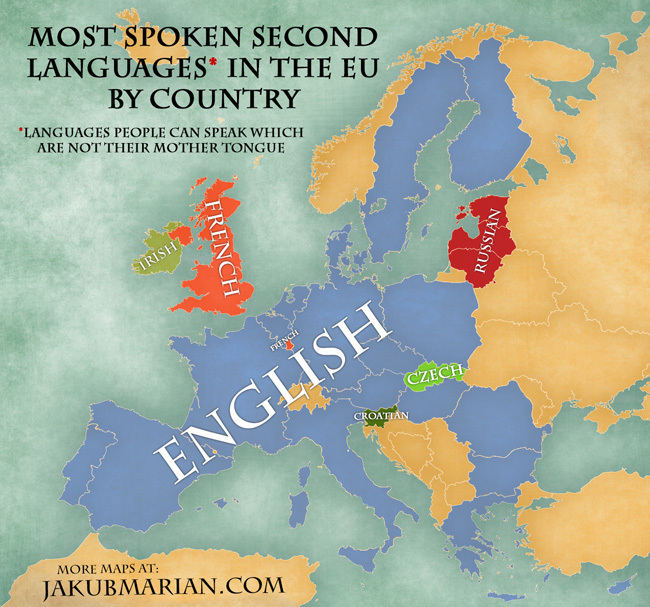 Quite unsurprisingly, English is dominating, since it is the first foreign language almost all children in the EU learn. 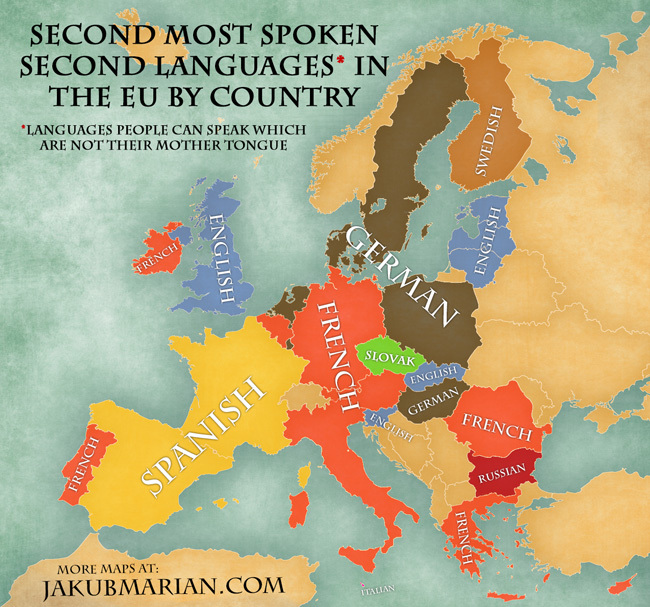 However, a much more interesting structure emerges when we look at the second most common foreign language. 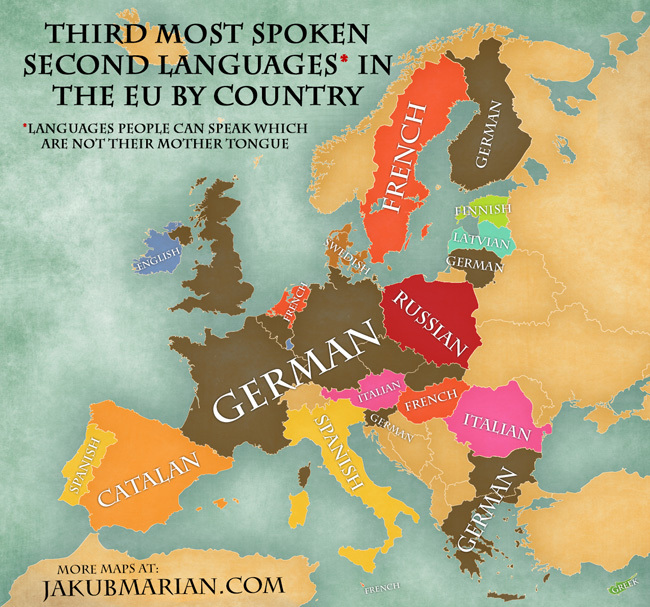 Here we can see that French and German are also quite important in Europe, and they aren’t lagging much behind English in terms of the actual percentage of people who speak them in many countries. The situation in the Great Britain and Spain looks strange at first sight, but it is due to large communities that do not speak the predominant language as their mother tongue.